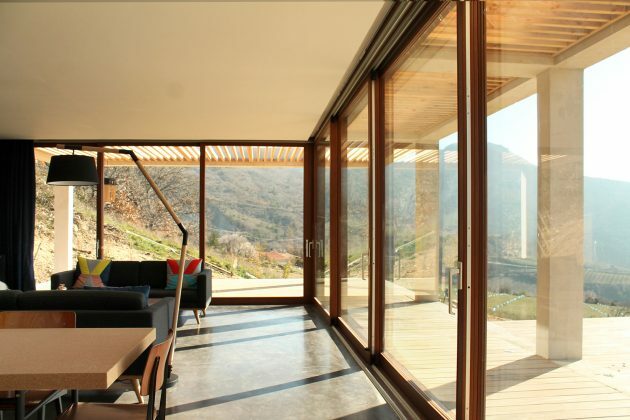 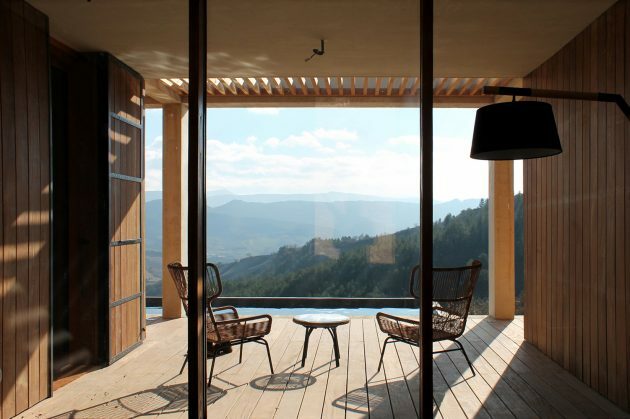 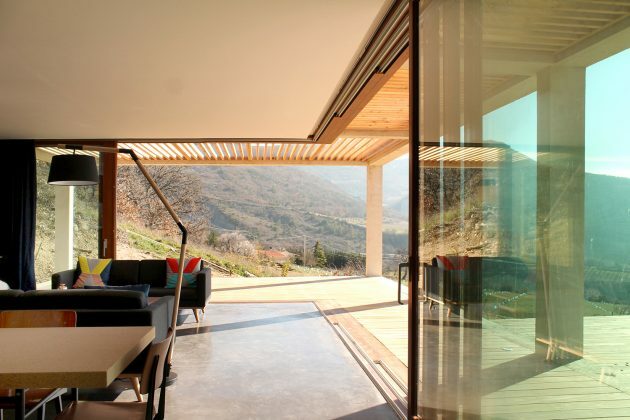 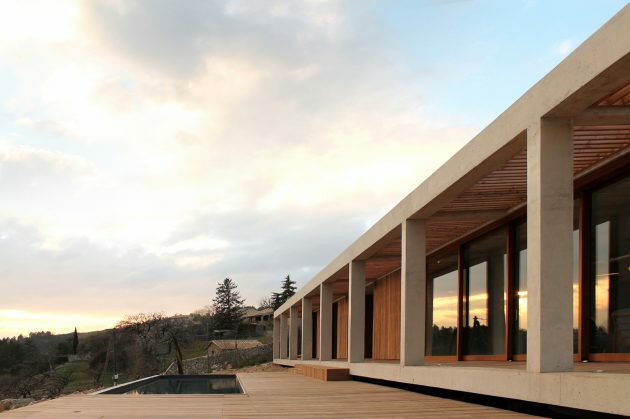 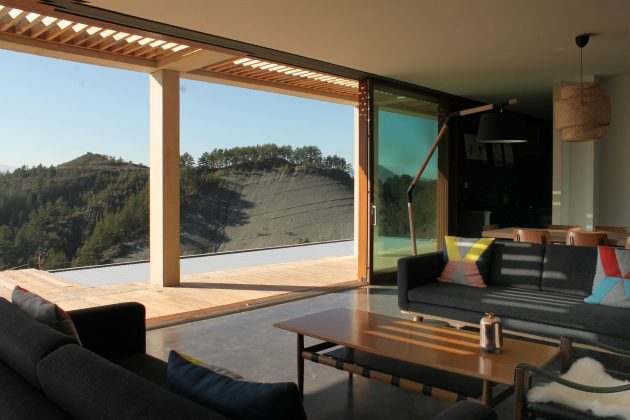 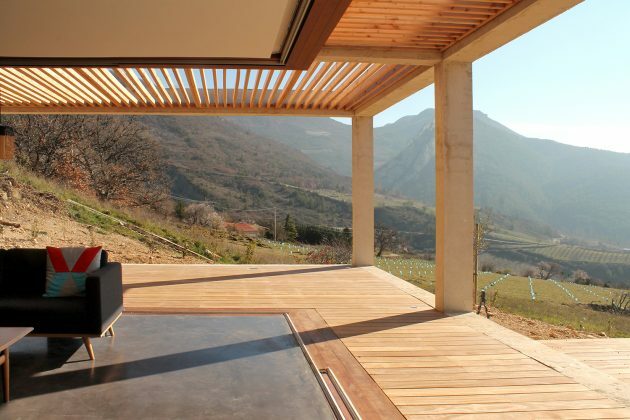 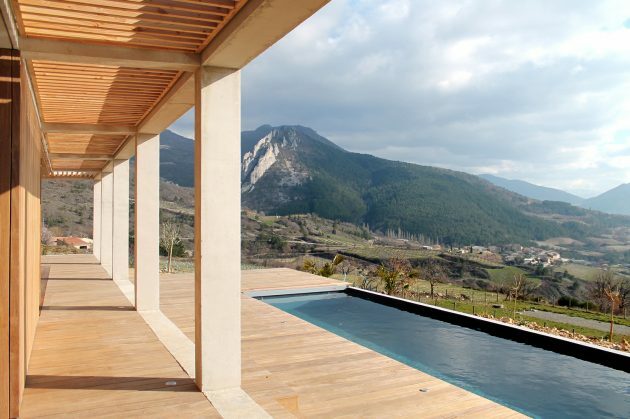 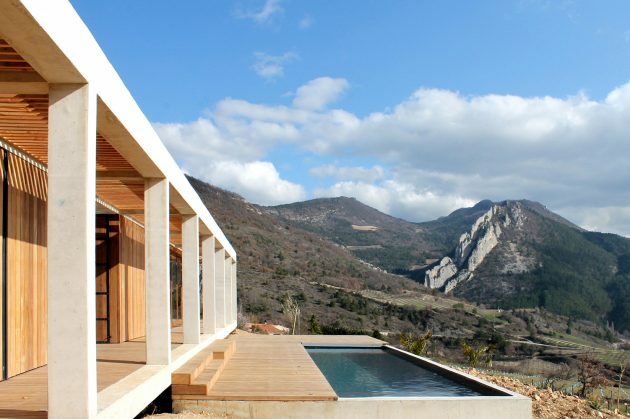 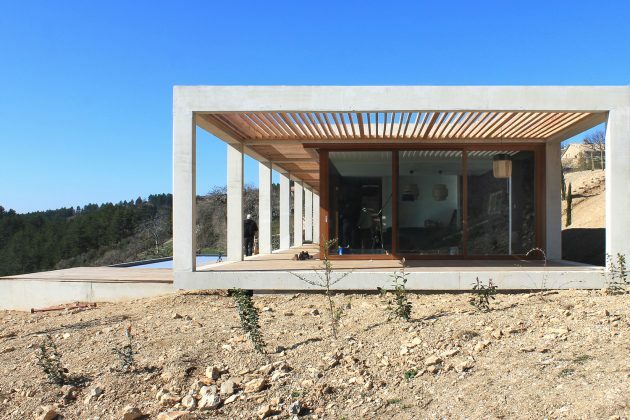 Situated in the heart of the Drôme Provençale in Bellecombe, France, this project concerns the construction of a holiday house able to host quite a lot of guests. 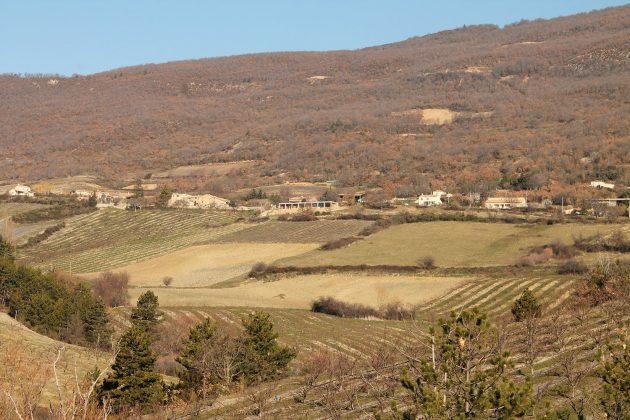 The terrain is oriented to the south and offers exceptional panoramic views on the far landscape and the Ventoux mountain. 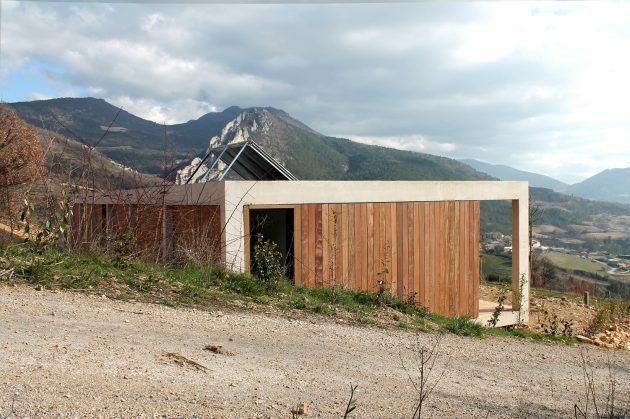 Designed by ACAU, the house itself is located in the northern part of the parcel so that it can open up to the south and exploit the view. 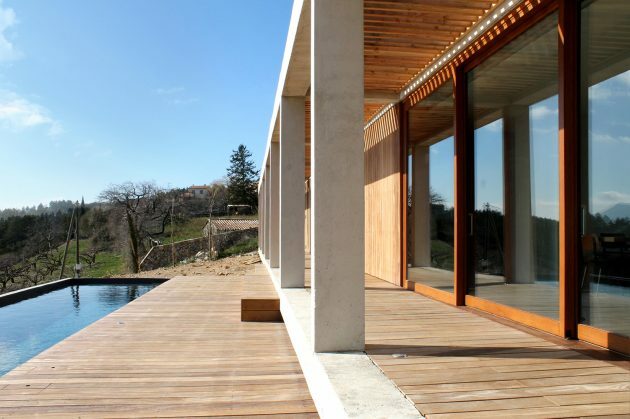 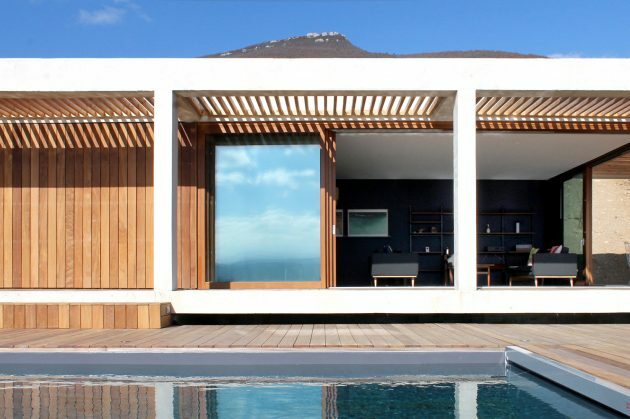 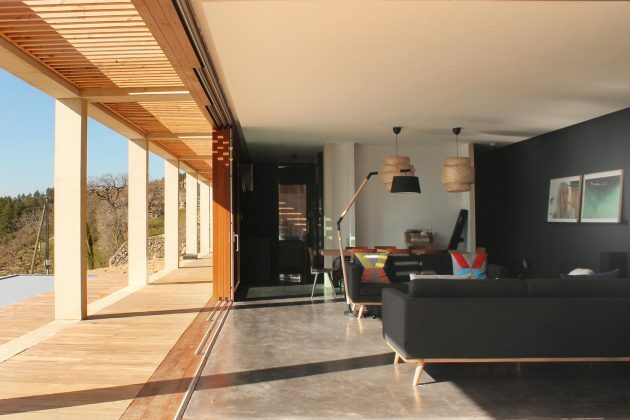 From the architects: “The architecture of this house is a reference to the typical farm hangar present in this region and present the advantage to reduce the cost of the building. 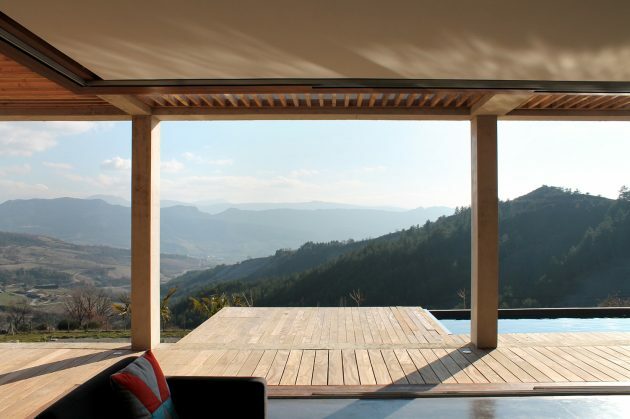 This inspiration leads us to conceive a super-rational supporting structure. 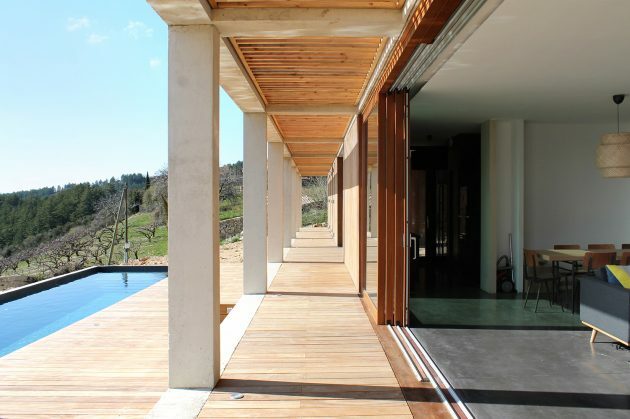 Indeed nine concrete porticos have been installed and it’s covering all the living areas. 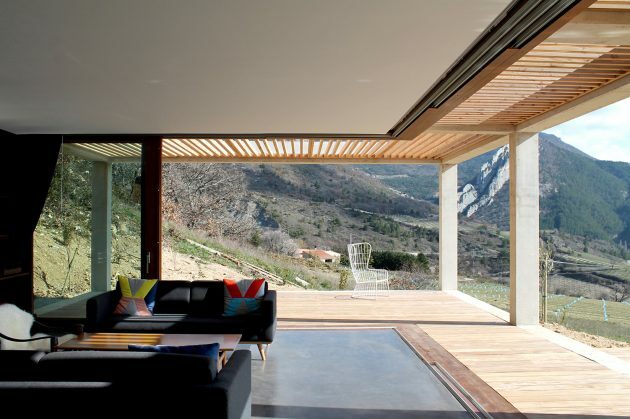 South oriented and withdrawal from the supporting structure, each living space of the house have an extension towards the outside. 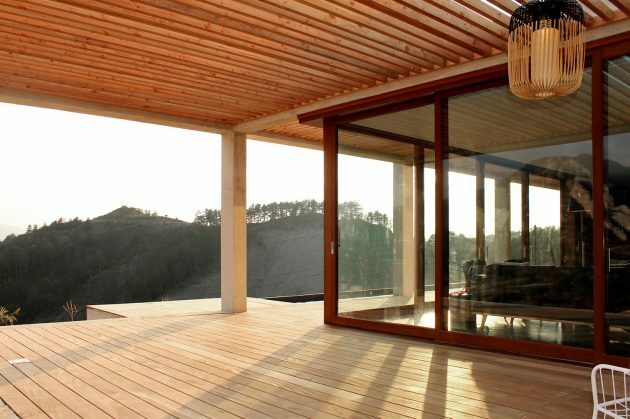 Theses terraces recovering of timber truss define a transition space between the inside and the outside but also formed a solar protection system.